Don't "muff it!" This Blueberry Muffin recipe is a most requested muffin. This picture says it all about the Blueberry Muffin Recipe! Don't "muff it!" This restaurant muffin recipe is the second most customer requested muffin recipe ever. It is a close “second” to the award winning Bran Muffin Recipe. And if you’ve discovered the top secret restaurant recipe for a bran muffin and tried that one, YOU KNOW you have just “surfed onto” another “gem.” It was voted a favorite restaurant recipe. Restaurant customers are a diverse group of people, but it is wonderful to know we can at least agree on certain things. Everyone loves these muffins. Preparation time: approximately 20 minutes. 16-20 servings. 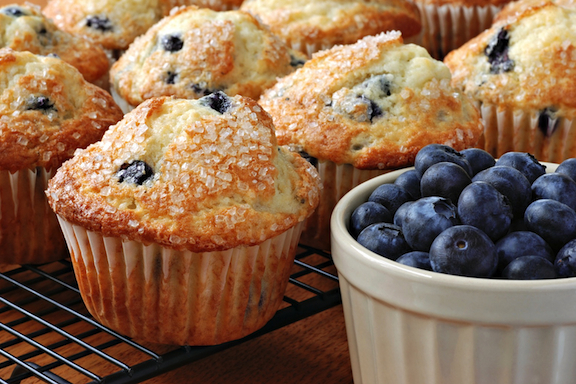 I use this same muffin recipe but sometimes substitute Marion Berries instead of blueberries. I ALWAYS SELL OUT! 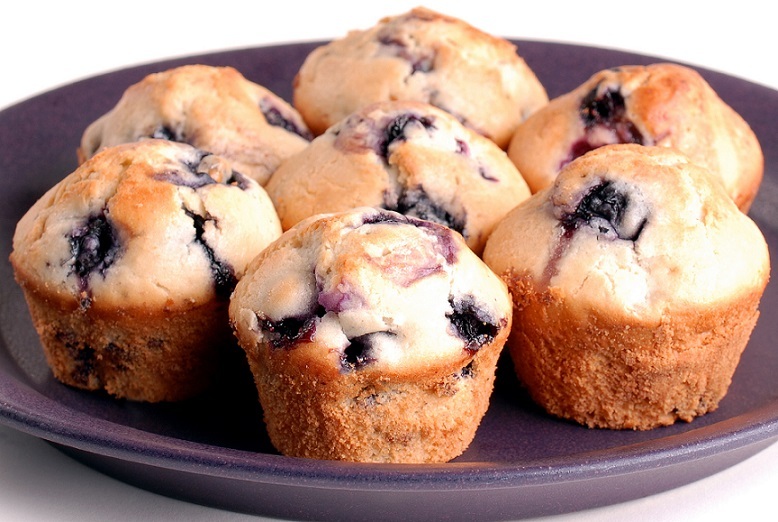 This is an easy restaurant recipe that results in a delicious muffin with blueberries! Enjoy your muffins and the people you share them with!